When I think of goat milk, I think of the movie Heidi. I have watched that movie at least a thousand times and I still cry every time I see it. I’m a little too sensitive. Speaking of sensitive, if anyone has raised a child with sensitivities to cow milk, you know it’s not easy. That’s why I’m happy to share KABRITA Goat Milk Products with you. 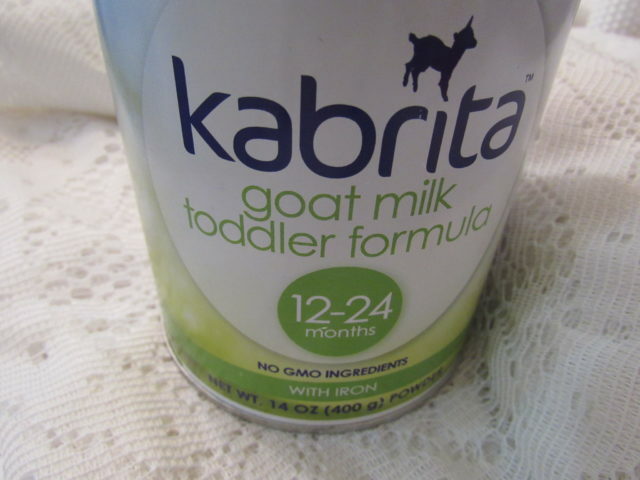 I’ve never heard of KABRITA Goat Milk Formula before agreeing to review some, but I’m always open to trying any product that is better for my family. Especially when I realized that it’s easier to digest for toddlers than cow’s milk. When toddlers, the kids always had a problem with colic, constipation congestion, digestive discomfort, and eczema when I tried to give them cows milk at a young age. 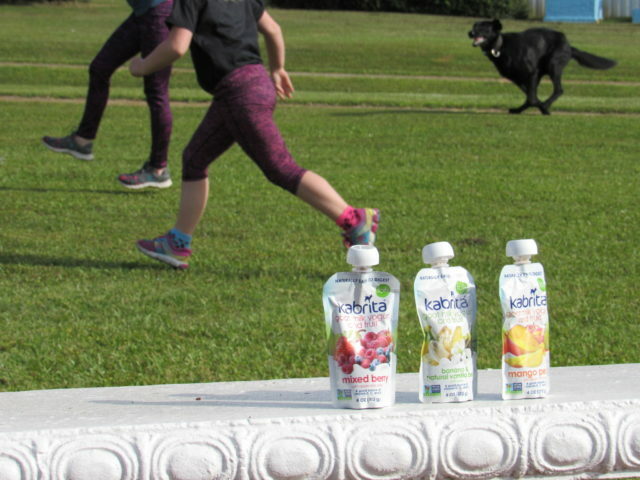 My kids are older now but I’ve been recommending KABRITA Goat Milk Formula to all of my friends and family members with toddlers from 12 to 24 months of age. 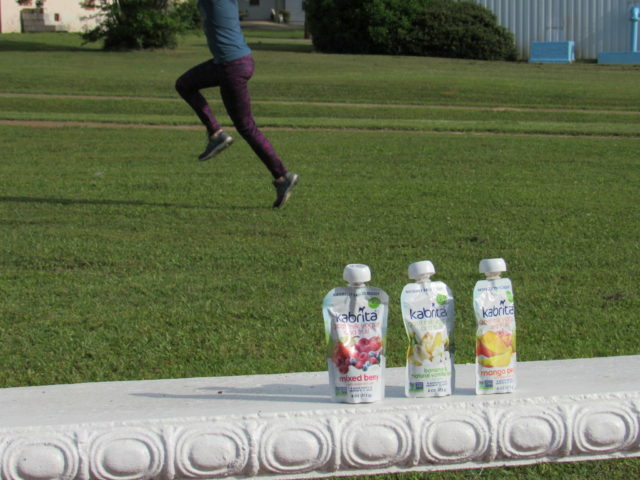 KABRITA has two products that I’d like to feature today. 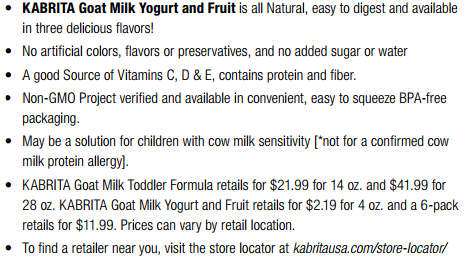 KABRITA Goat Milk Formula, obviously, and KABRITA Goat Milk Yogurt and Fruit which the kids reviewed for me. They are also fans of the movie Heidi (which is why we frequent the Heidi Motel in Helen, Georgia) so they were excited to try the yogurt made with goat milk. 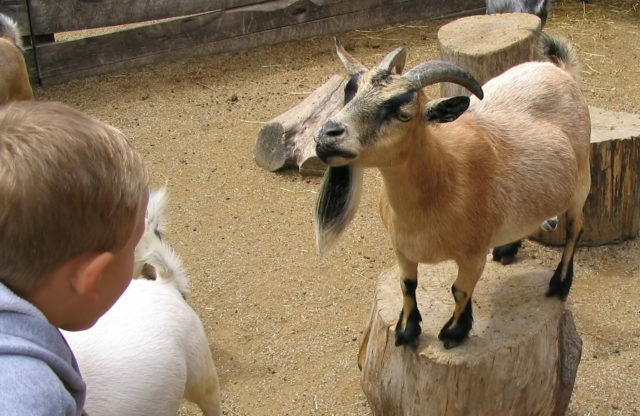 I don’t know any kid that does not go gaga over baby goats or goats in general and we buy goat cheese when available. It just made sense for my family to want to try other products made with goat milk. 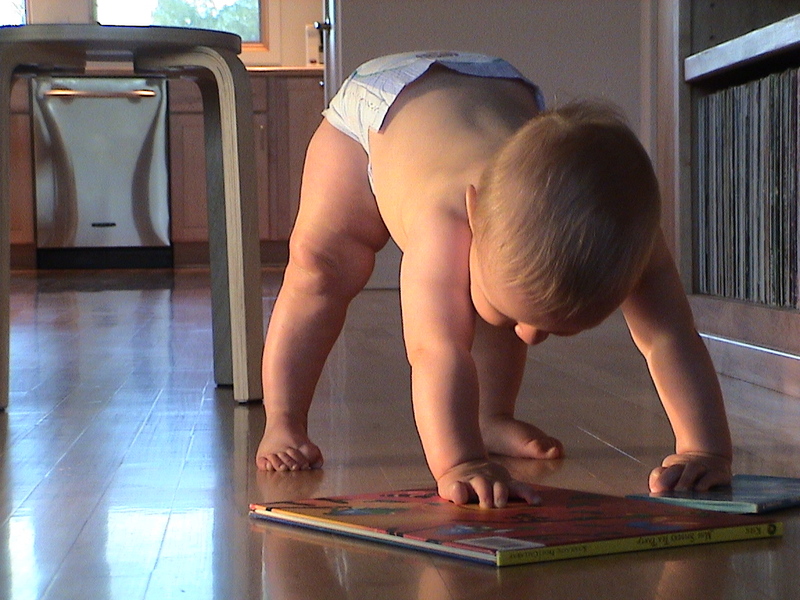 And of course, what better way to see what a kid likes than to let them try it?! I love the convenience of the KABRITA Goat Milk Yogurt and Fruit which I can pack up and take along as a great snack option. It comes in 3 flavors which the kids love and it’s a good Source of Vitamins C, D & E, contains protein and fiber which of course I love. 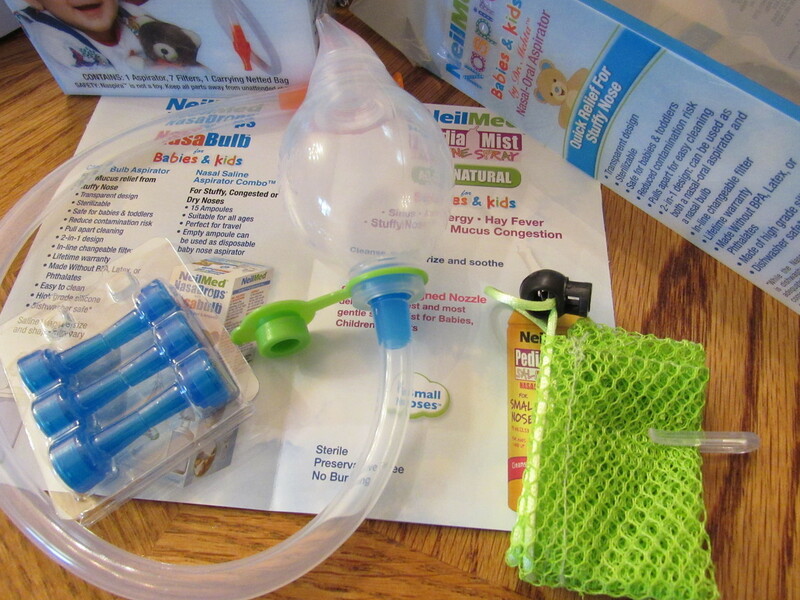 The easy to open cap and the squeeze pack makes it fun and easy for kids to use. I took a screenshot of some information which I thought would be relevant to share and I encourage you to take just a moment out of your busy day to read. After all, our kid’s health, wellness, and wellbeing is worth everything, right? I gave my KABRITA Goat Milk Formula to an immediate family member who has been having problems dealing with her 14-month-old in dealing with stomach issues. She is sold on the formula and reports that she’s had such a great success with it that she’s shared the information with the parents in her play group. 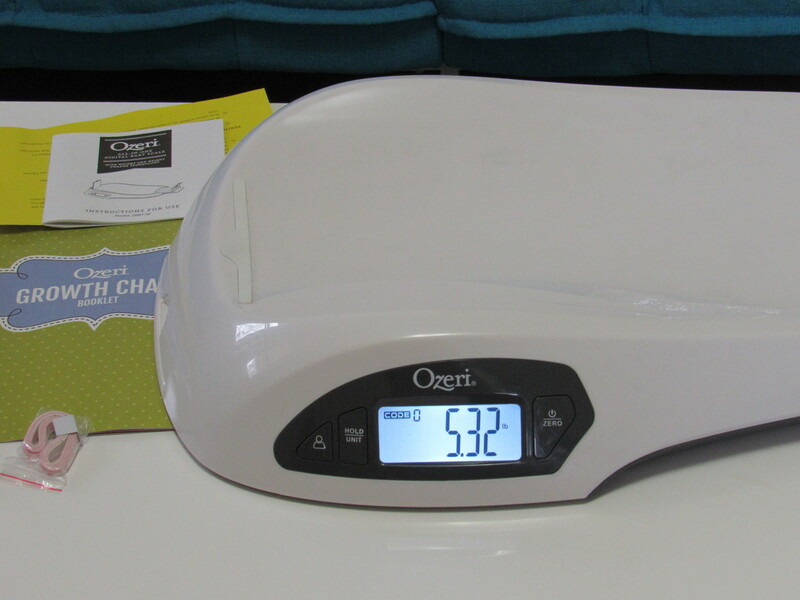 I’m always excited to pass along products that work this well to those who need them. Her child’s digestive problems seem to be disappearing and that was the whole reason I wanted her to try this formula. Tyler, Alyssa and Abby give their stamp of approval on the KABRITA Goat Milk Yogurt and Fruit so all is well in my little neck of the woods. Tyler’s digestive issues are in check with the yogurt and I know all 3 kids are getting a great product without all of the added artificial colors, flavors or preservatives, and sugar. If you or someone you know could benefit from trying these products, you can sign up to receive free samples at kabritausa.com/product/kabrita-free-samples. Just pay $9.99 Shipping and Handling for this $30 value pack. 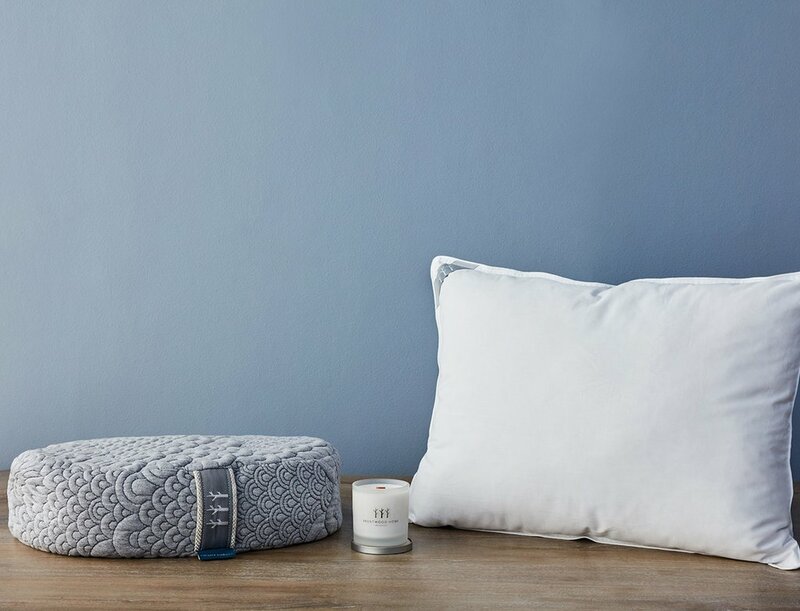 If you’d like to purchase these products, I have a 20% off savings promo code. Just apply MM2016 at checkout. 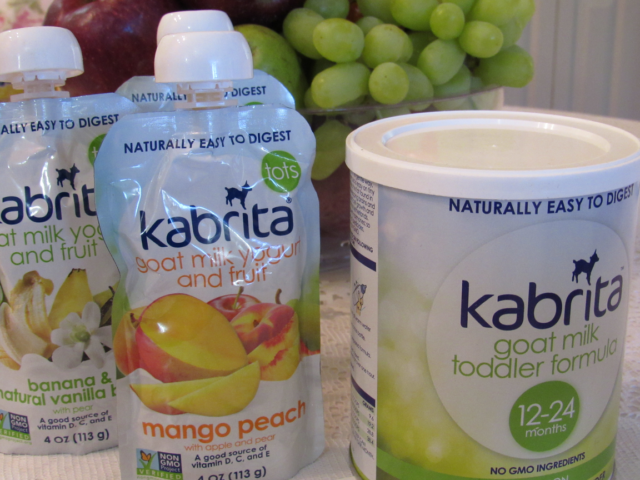 If you would like the opportunity to win a KABRITA Prize Pack, which includes one container of KABRITA Goat Milk Toddler Formula, three pouches of KABRITA Goat Milk Yogurt and Fruit (a $30 value! ), please leave me a comment explaining why your child or someone else’s child you might be familiar with, would benefit from receiving these products. I will use a giveaway plugin to select a winner on or after 5/5/2016. Connect with KABRITA online to learn more about KABRITA products and the benefits of goat milk and get exclusive access to discounts and special offers! Facebook, Twitter, Pinterest, and Instagram. I’ve never heard of the Kabrita’s brand but I would definitely be interested in checking it out. That’s awesome that there is free samples and a discount code too! We haven’t really tried goat’s milk but it does sounds like a great alternative for cow’s milk. I would love to try if my boys would it. This is interesting. I don’t think I have ever drank goat’s milk. If its easier to digest then its is much better than cow’s milk. Lovely read. I learned something new. I think the only thing goat related I ever tried is cheese. 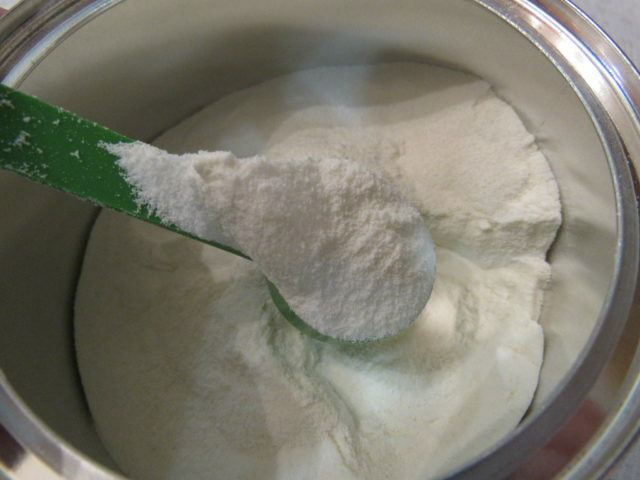 Would love to see if my kid likes the powdered goat milk. He rarely wants to drink his regular milk. It is a great and healthy alternative for cow milk! Looks delicious! did you know “cabrita” is the Spanish word for little goat? hehe, what a cool name Kabrita! Our kids all seemed to not get on with cows milk when they were infants. Goats milk was an ideal alternative. 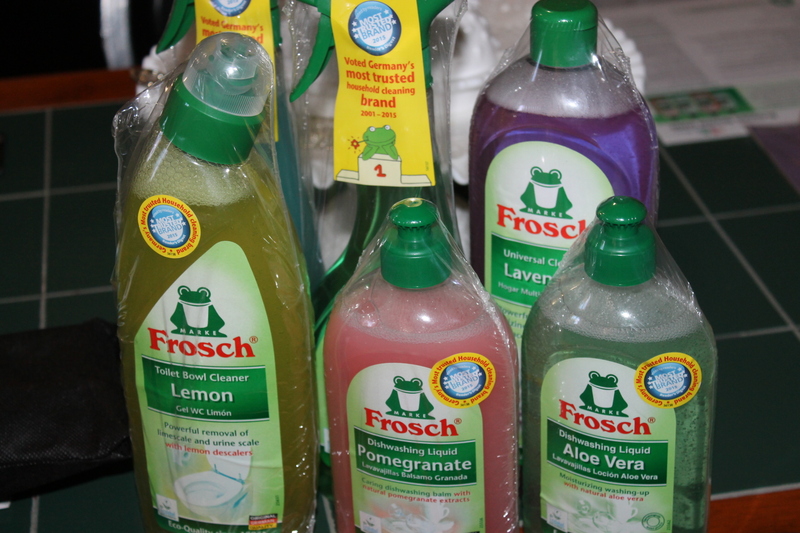 What a great alternative to regular formula. 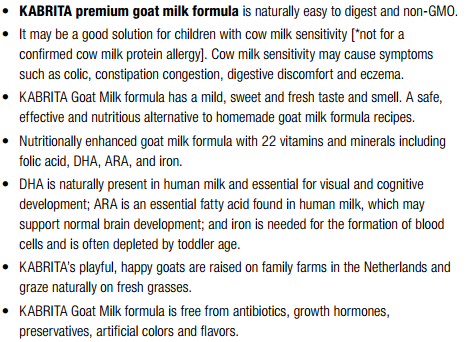 I have so many friends with kids that are not able to process dairy… this goat formula will be so helpful. I never tried goat milk but I wanted to try if I have a chance. Goat milk is great, my dog loves it! Those sound like some great products. It’s nice to see that they use goats milk. I still have never tried goats milk before. I bet my girls would like that yogurt. Thank you for sharing your experience with this product. I love goat milk, it has so many benefits, even for our skin. It’s so nice to have yogurt drinks for the kids as well. This is definitely going to help their metabolism. Love that you can get samples too! I had no clue that they made goat milk for kids. This is a great alternative to soy or other artificial milk. My kids didn’t have any problems drinking milk. I did breastfeed them past their first birthday. Then I switched to cows milk. I’ve never heard of this before. 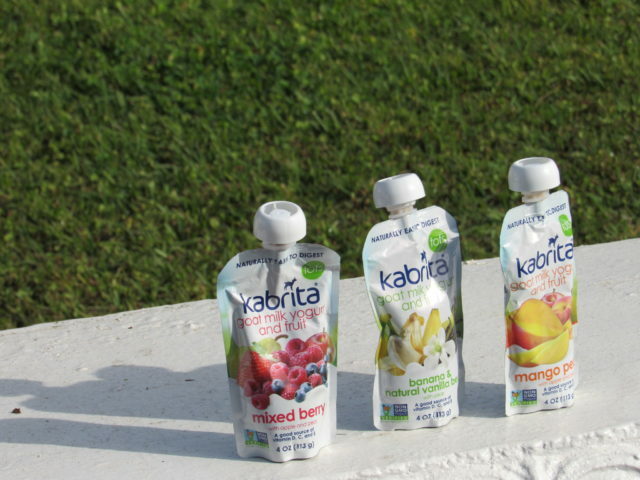 I like that the KABRITA Goat Milk Yogurt and Fruit are in convenient pouches for traveling. The flavors sound really good also. Thanks for sharing and having a giveaway. My kids just tried the pouches too and really liked them. I wasnt sure they would but they didnt have any real complaints on the taste. My boys love the squeeze pouches. This formula would have been good when my daughter was a baby as she was allergic to milk. That sounds like a great option. I Had no idea this was available. My 4 year old tried these pouches and loved them. I have thought about using the formula supplement for my picky eater, but want to discuss it with his pediatrician first. Kabrita sounds great! I want to get some of those packets. Thanks for the heads up on the giveaway! This is kind of an awesome idea. I know that goat milk is easy on systems than cow milk, so this would be perfect for the bay-bahs.